We’d love your help. 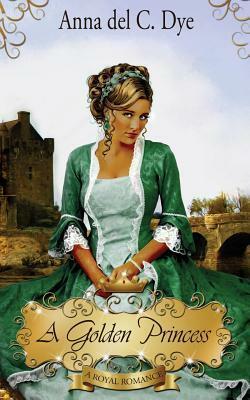 Let us know what’s wrong with this preview of A Golden Princess by Anna Del C Dye. To ask other readers questions about A Golden Princess, please sign up. Small for her age, Princess Nyala is determined to be noticed and someday rule with fairness and valor in Kaloma. All changes when she looks upon the stars and they predict her accident. After she awakens to a broken body, her father takes to his goblet and she steps into power in her kingdom at sixteen. Her father said that no man would choose a half-broken princess. Is that how Prince Nicolao sees her after the accident? Her heart is unsure and out of fear she keeps him away to avoid a broken heart. As soon the other kingdoms in the land determine the predicament of the Royal House of Kaloma, they too will prey on her vulnerability to steal her kingdom. She will have to confront new foes or lose it all. This is a sweet tale about a girl facing a lot of challenges. She might be a princess, but she's not exempt from physical injury or emotional vulnerability. Nyala has to find greater internal strength than she thinks she has and can serve as an inspiration for others who strugle.